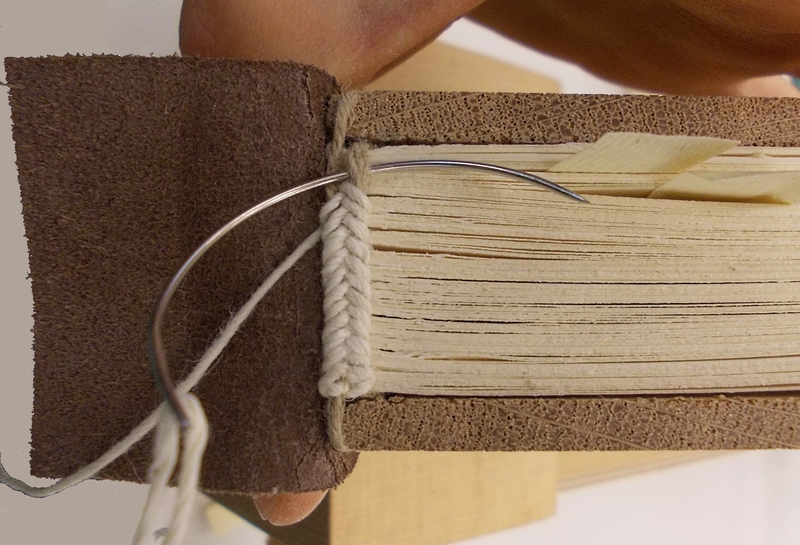 This cutaway model of a Carolingian style binding was made in Camberwell College of Arts in London in 2014, during a four day workshop given by Juergen Vervoorst, head of Conservation at The National Archives, United Kingdom. 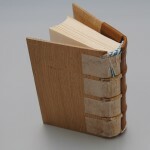 This binding was popular in Europe from the 8th to 12th century and was traditionally made with oak boards and a parchment textblock. 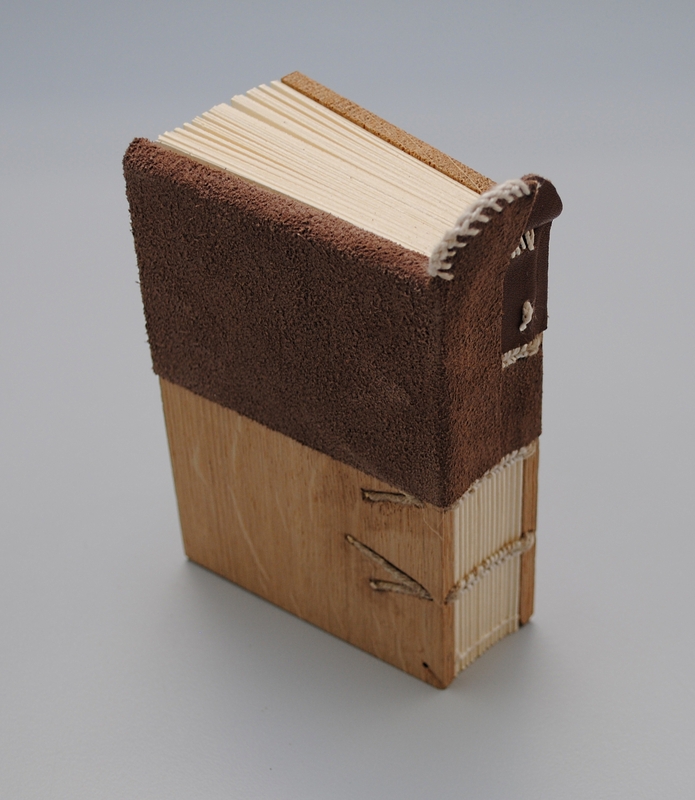 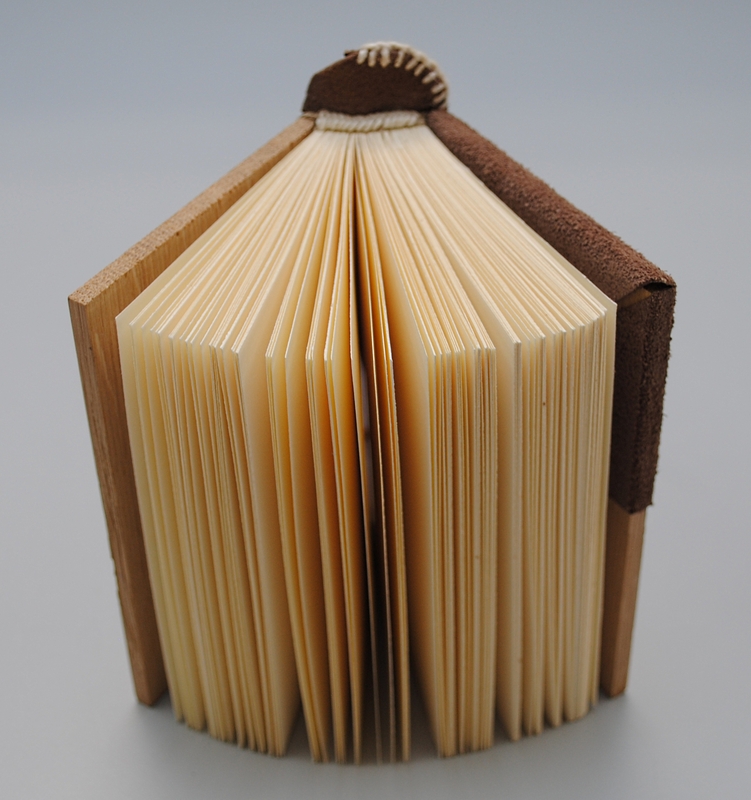 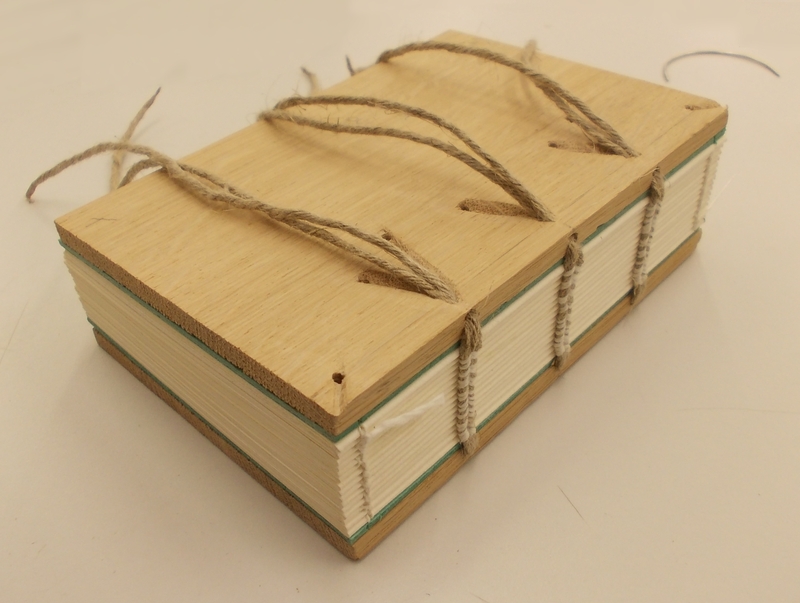 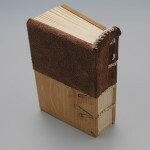 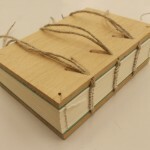 For this model, a reduced scale book was created, and paper was used for the textblock. 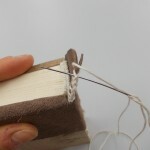 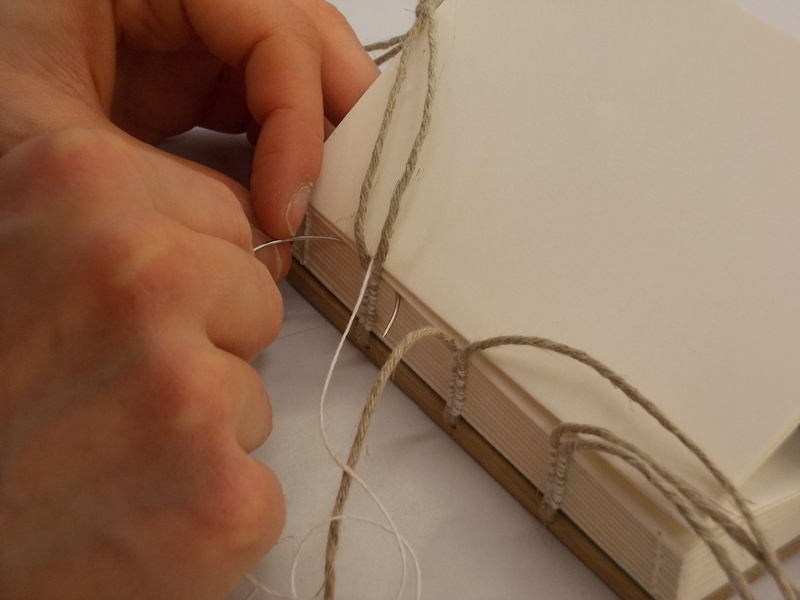 The sewing was on double cords with a herringbone pattern. 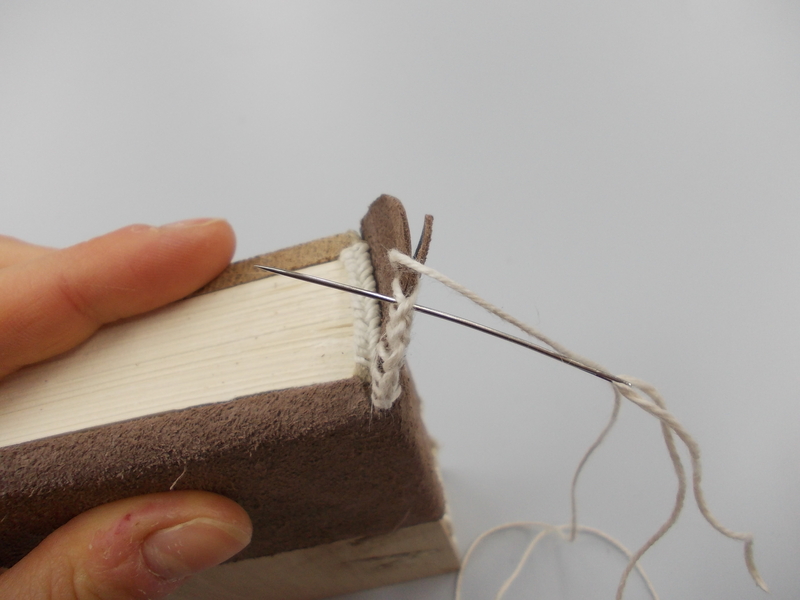 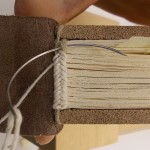 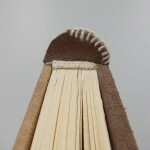 The endband was made with a packed-herringbone style on linen cord, through a leather tab. 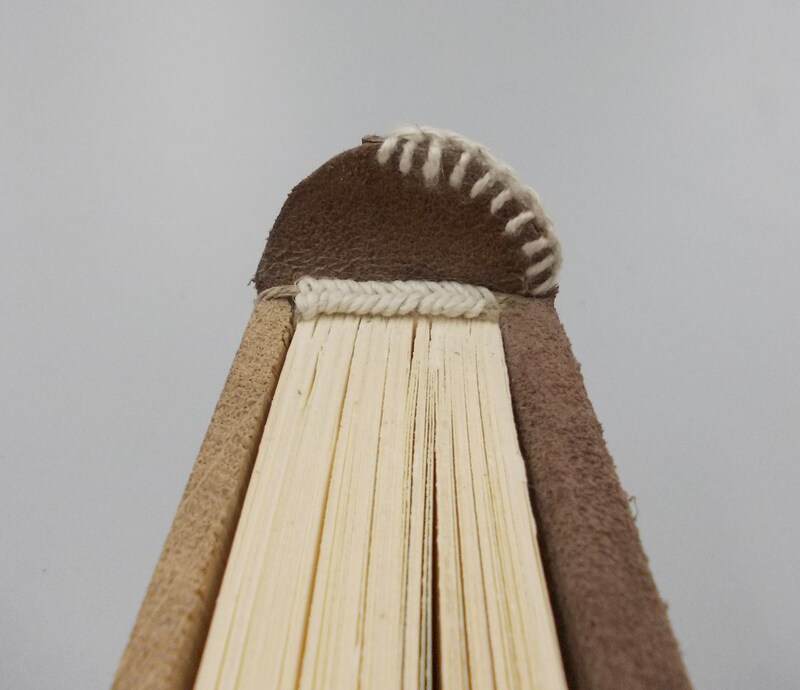 Part of one board was covered with suede leather using wheat starch paste. 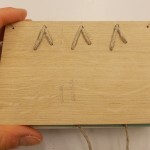 Herringbone pattern on double cords. 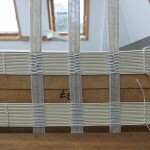 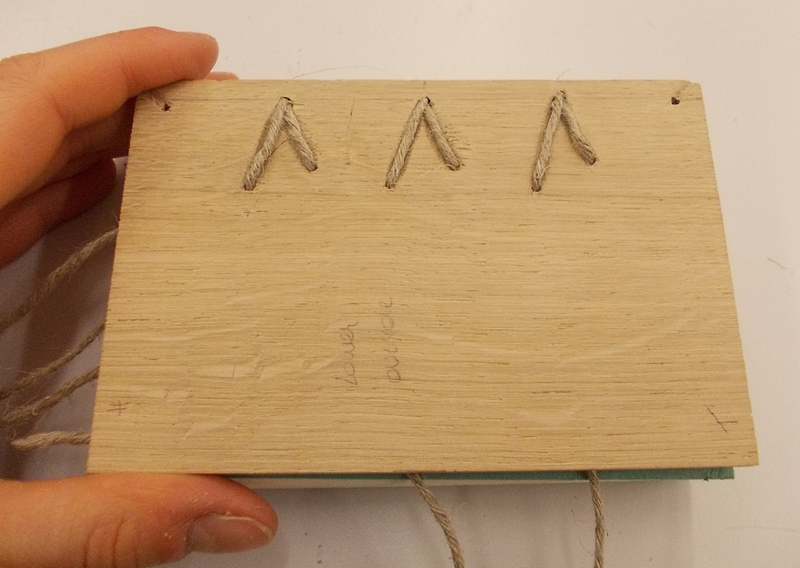 Lacing the sewing supports through drilled-holes.